No one wants downtime with their device. 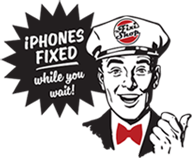 “Fixed while you wait” is our mission for your iPhone. We are the IOS mechanics for your iPhone & iPad repair. The Fixi Shop goal is pretty simple: Get it in, get it fixied and get it back in service!